Looks like we'll have to keep dreaming a while longer. If you've been patiently hoping and waiting for Nintendo to announce that the Virtual Console service will be returning at some point, you may want to sit down for this news. Are you sitting down? Good. Nintendo has confirmed (via Kotaku) that the Virtual Console isn't coming to the Nintendo Switch. I know, I know. It makes no sense, especially since there are so many excellent older games that we'd all pay an arm and a leg for so we could have the convenience of taking them everywhere we go. But it appears that just isn't in the cards for Nintendo, at least not at the moment. “There are currently no plans to bring classic games together under the Virtual Console banner as has been done on other Nintendo systems,” a Nintendo representative confirmed to Kotaku via email last night, right after news broke about Nintedo Switch Online pricing and other features. 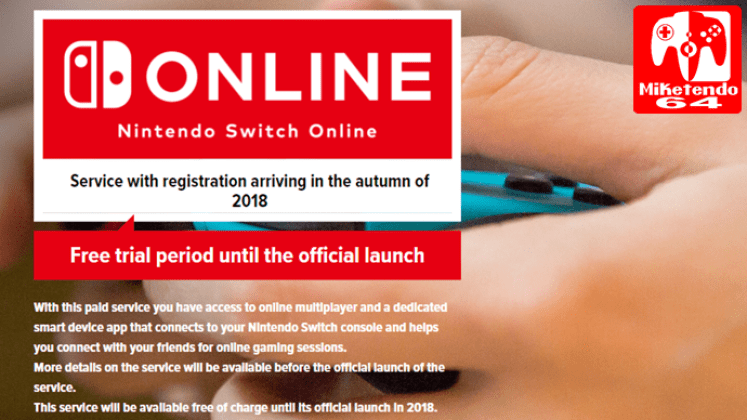 While anyone who subscribes to the service will have access to NES - Nintendo Switch Online, a collection of 20 NES titles that will rotate out as the months roll on, plans for a larger rollout like those on previous consoles doesn't appear to be happening anytime soon. Of course, we may also want to take this "confirmation" with a grain of salt. It's highly possible that this could be a canned response that's been trotted out several times before, or perhaps Nintendo isn't looking to announce anything at this time. As you're no doubt well aware, things can always change at any time. For now though, it might be good to put this dream to rest. We'll always have our memories. At this point, glad I sold my Switch. Every time you mention it, Reggie sheds a tear. Whatever will Nintendo do? That's what I wanted it for, so... yep! Except they'll probably still sell them, just not in a VC section. Nintendo is a traded company and they like money. A LOT. Being highly creative and making good products doesn't change that. There will be an option to give them money in exchange for old games. This is almost guaranteed. There's cheaper ways you could have achieved the same goal. Grab a first gen Vita or PSP for dirt cheap. Like, buying a Switch at first year price point for the sole purpose of emulating 30 year old hardware just seems a little silly. You’re telling me I can legally play nes and snes games on a vita or psp? You’ll have to prove that. sounds like a 2DS is your jam. $70 for all the VC you can take! That does look interesting! It only talks about the 3DS on their site. What's the difference? 3DS is more powerful and has 3D. It's not needed for VC titles though. dude those screens are hot garbage compared to the Switch. buy a hacked Switch. send Nintendo a $600 check or donate it charity. live life to fullest with ultimate portable machine. My theory is that they're starting with the NES titles, then will be expanding upon that in the future. It will just be part of the online service, and not titled Virtual Console. We'll see I suppose. That would be a very limited subset of games though, all of those are online-augmented. This isn't really news? At the very most this is a misleading headline and I'm kind of disappointed the Shack copied the verbiage of Virus' pot-stirring thread earlier. Your refund is in the mail. This place is the bestest!